Alsande bee in konkani means Black- eyed Peas.This is one of the few dishes which doesn't have coconut in it:-) I remember my parents and my brother liked it a lot but I never liked it! After marriage I came to know that even my husband loved it very much. He likes it so much that he sometimes eats as it is without rice. So I didn’t have any other option than to cook for him. Now even I have started liking it. I am wondering why I didn’t like it before! Now back to the recipe. This recipe is simple and healthy with lots of protein in it. The only time consuming about this recipe is, soaking the black eye peas. I have observed that my amma used to soak it over night but the one which I used demands only 2 hours of soaking period!! 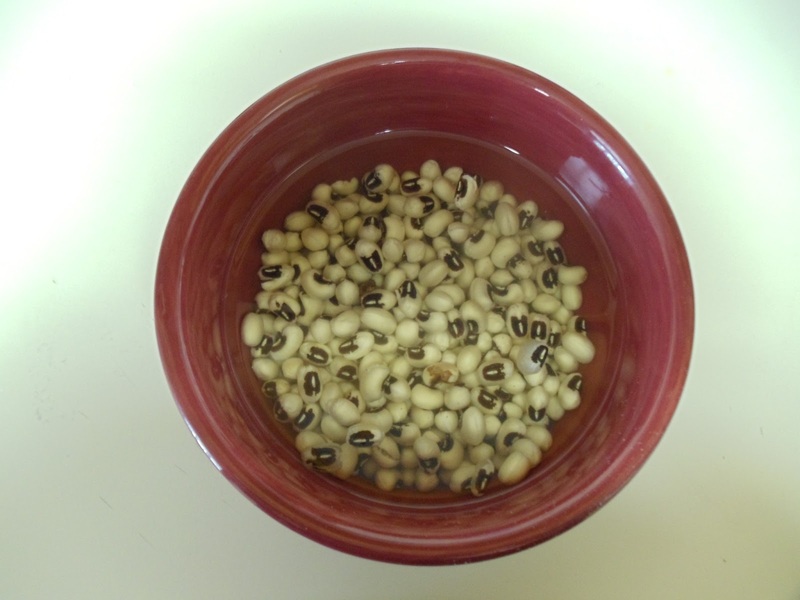 Cook the soaked black eye peas in a cooker along with salt. See that you don’t overcook it.Transfer the contents into another container after it gets cooled. Check for the consistency. It has to be little watery. If its not then pour little water. To this add the green chilli which is cut length wise. Bring it to a boil and continue heating for 5 minutes. Then switch it off. For tempering, heat oil. Then add slightly crushed garlic (remove the peel). Fry it till golden brown. Then finally add the red chilli pieces. After frying for few seconds, turn off the flame and add to the cooked black- eyed peas. Now it is ready to serve. It goes well with white rice. Above measurement is for serving two people.